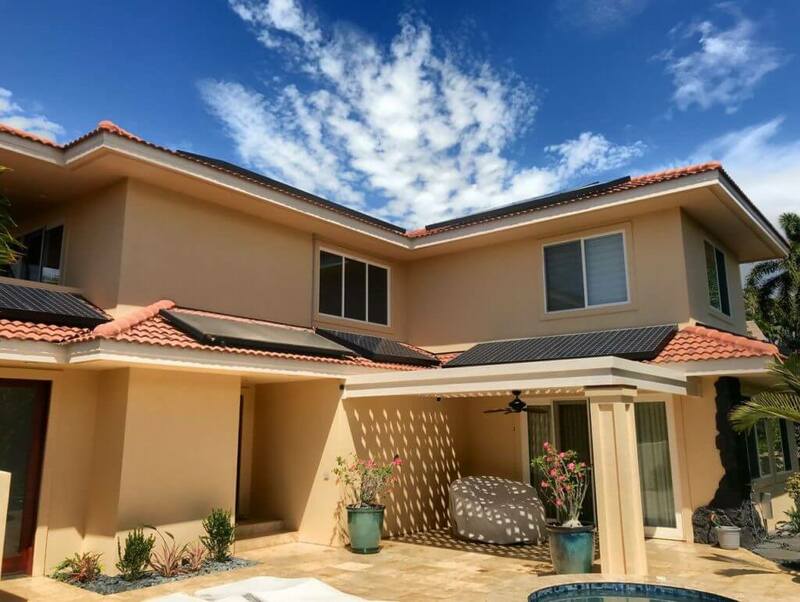 With MECO’s “Customer Grid Supply” (CGS) program, the solar PV system sends all excess energy back to the grid, after powering the loads in your house and charging your battery, if you have one. You receive credits for the energy you send back to the grid at a rate of .17 cents per kwh. This credit rate is subject to change, which is why a battery will maximize your savings. Credits are banked on a monthly basis but excess credits are not rolled over to the next month, they are lost. 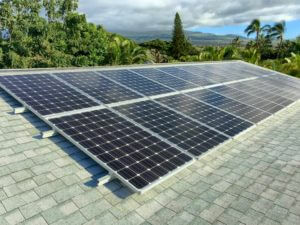 During the day, much of the Sun’s energy goes to power the loads in your house, bypassing the meter. Only the excess is what you receive credits for. This program has been replaced by the CGS+ program. If you missed the opportunity, not to worry, MECO’s Customer Self Supply is still open, but you will require a battery to maximize your savings. What Are the Caveats of MECO’s Customer Grid Supply Program? The downsides of the CGS program include the fact that the rates are not a full credit and the current rate can change at any time. 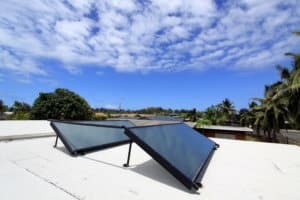 If you installed a Solar PV system, in order to cover 95% your MECO electric bill and lower the credit rate from .17 cents to .10 cents per kwh, your bill will go up and now your Solar PV system may only cover 85-90% of your electric bill. The Tesla Powerwall battery will insulate you against those future rate changes. Will the buyers get to keep the Solar PV system? Currently, if you sell your home, the new owners can inherit your CGS agreement from MECO. This gives your home a higher resale value than a comparable home. How Do I Insulate Myself Against These Rate Changes? This issue can be mitigated by installing a battery to store some or most of the energy that was produced during the day, for use at night. This way, you are getting almost 100% of the kwh credits, because you are sending much less energy through the meter, to MECO. Due the the “Round Trip” efficiency of charging and discharging your battery, those kwh credits will be closer to 95%. This is very similar to MECO’s Customer Self Supply program (currently open). Only, once your batteries are fully charged, you send any excess energy back to the grid and receive the .17 cents per kwh rating. While the batteries will greatly reduce or eliminate this situation, it is still better to get a partial credit for any excess power, than no credit at all.